If you are a newlywed, a photographer or a wedding supplier and you would like to be featured on rocknrollbride.com or in the print magazine, we would love to hear from you… don’t be shy! We favour real weddings over engagement shoots and styled shoots, but we do feature all three. Boudoir is generally not our bag but if you have something really amazing and unique then try us. We like to be proven wrong as often as possible! For bonus points, please take the time to read this post for more tips on how to get your submission really noticed before you send it our way. Happy, smiley couples in love. Brides with attitude and a rockin’ sense of style. Wicked, unique wedding details (cakes, centrepieces, flowers etc). Pets at weddings. The more the better. Selective colour. Never ever ever do it. EVER. Dutch tilt. It makes us feel seasick. HUGE high res image files embedded into emails. We primarily feature real weddings, however we do publish a very limited number of editorial and engagement shoots. You can also pitch an idea to write an article for the magazine! 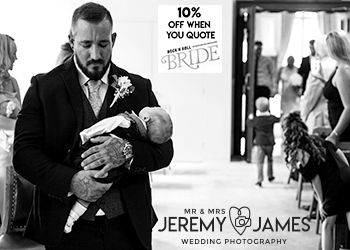 Email kat@rocknrollbride.com with 10-20 low res images and a brief overview of the wedding/ shoot. If your submission is accepted we will send you all the information on what we need for the feature. I would prefer to be featured in print. How do I go about this? While we will make the final decision on whether a feature is placed in print or online, you are very welcome to let us know if you have a preference and we will take it into account. Can I send my submission to another blog? We require FIRST SHOWING EXCLUSIVITY of all our real wedding featuring, meaning it can not have been published on another wedding blog or magazine. There are some very rare examples when we will bend this rule so do please be honest if it has been submitted or featured elsewhere before. Can my submission be featured elsewhere after you’ve shared it? Yes! We only ask to be the first place to publish something. After your feature has gone live you are welcome to submit it elsewhere. Can I publish the images on my own blog and social media? How long does it take for a submission to get featured? Our current average lead time is approximately 2-4 months for online, and 2 issues (4 months) for print. Will I hear back about my submission? Of course! You will hear back, usually within 2-3 working days, to let you know if your submission has been accepted or not. If it isn’t please don’t take it to heart! We receive a huge amount of submissions everyday so unfortunately we are unable to feature every single one. If you haven’t hear back within a week, feel free to send a follow-up as it may have got lost in cyberspace! Please send your submission via email to kat@rocknrollbride.com. I can’t wait to hear from you! ♥ Please send anywhere between 10 and 25 images for your initial submission. If the wedding or photo shoot is accepted we will then ask you to send me the full gallery. ♥ Images should be low res for your initial submission and either embedded into the email or attached one by one. You can also send a link to an online gallery. No zip files please. If you would like submit via Dropbox please email us a direct link to the folder itself rather than just inviting us to a folder within Dropbox (as these can often be missed). ♥ Colour is generally preferred over black and white. ♥ Please include as many detail shots as possible (flowers, cake, centrepieces etc) and plenty of photos of the happy couple! ♥ A short paragraph or a few bullet points laying out why you think this wedding/shoot is perfect for Rock n Roll Bride and anything that makes it particularly stand out. If your wedding or photo shoot is accepted you will be sent a questionnaire and a permission form. Weddings can not be featured without the questionnaire being being filled in by the couple and a permission form signed by the image copyright holder (the photographer). Rock n Roll Bride will only publish weddings and shoots that have not been previously featured on any other wedding blogs or magazines. Please do not submit anything that is currently pending with another publication. If your submission is successful and published, we are am happy for you to submit it elsewhere afterwards. We only require to be the first to feature something. We do not expect the images to be held back for any specified period of time after my feature. You are very welcome to publish the images on your own blog or website. Permission to be featured from the photographer and the couple is imperative. Please get permission from all parties before submitting a wedding or shoot. If you are a wedding supplier and you’d like a featured post, we’d love to hear from you. Please note these posts are paid. Further info on blog advertising can be found here. 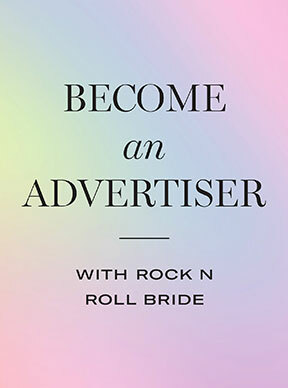 If we do not feel the product or service you offer is suitable for Rock n Roll Bride we reserve the right to decline your request for advertising. On occasion we do accept products and gifts, however this does not guarantee a blog feature. We are unable to return any products once they have been sent. We do not publish guest posts unless we are already BFFs or they are sponsored, however we are always looking for article submissions for the print magazine. If you have an idea for a print magazine article, we’d love to hear from you! Any wedding supplier featured on Rock n Roll Bride is entitled to an Approved Rockstar Vendor badge to proudly display on their own website. If you’d like one, just drop me an email! Rock n Roll bride forever! Love this site, refreshing change from the normal “run of the mill” sites, will be contacting you very soon re: submissions. Love Rock Roll Bride forever! And learn a lot here. Thanks! love the photos in about..
Nice website. Amazing wedding post and shoots. Brilliant! What a great website, loads of inspiration and ideas here!! What a site! Really hoping for a rock and roll wedding to come my way, would love to be featured on the site! Looking forward to submitting this year. Fingers crossed to making the grade. Some exciting couples with amazing plans. Cant wait to get some Rock N Roll credentials! Fantastic website with loads of great weddings on. It’s a regular read for some great inspiration. Just seen your list of requirements to get a getting a wedding featured on your lovely site. “Happy, smiley couples in love. Colour” is not a problem. I am updating my site so going through all Indian weddings I have photographed. I am sure there was a bride who had a dog at an Indian wedding.. will be in touch soon. What a brilliant website and I can only hope to be featured at some point? Very cool Website, my next Wedding (Photograph)i´ll submit on your Site… Great! I like your Website, very cool! Very different wedding style but COOL. Brilliant website! My name is Georgie, and I plan on marrying my Megatron partner. When I say Megatron, I don’t literally mean Megatron the evil transformer, It is simply an expression to show how “cool” my vocab’is. He is actually bloody awesome!! Anyway, we are having a Halloween/bonfire wedding next year, on November the 5th. I understand that Halloween wedding’s have been done before, but our aim is to portray a classy sci fi horror themed affair. I will be wearing Black lace, and I hope to look very Maleficent esque’we will have pumpkins and fireworks, and all things ghastly. I follow every wedding you do, and in all honesty my perfect wedding would not be complete with out you! I would be over the moon if you could feature our wedding! We are quite swell human’s even if I say so myself! The only thing left to decide is what our surname will be, due to an unhappy past we don’t feel that either of our surname’s are something that we will be willing to take into our awesome future together! Anyway, I hope you are well, and if you have any further questions please just give me an email! p.s please feature us…. we rock. I really love you website. I love the way you write and the weddings you show! Absolutely love the images on this site! Will be keeping you in mind for my wedding! Beautiful site, lovely colours and feel. Will keep this site in mind and send you some of my work when I think it’s good enough! I read this article too, and am looking forward to submitting my wedding to you after we get married on October 30, 2016. I will also show our phofessional photographer this article when we meet her this month. Rock on! I ‘ll definitely consider to submit few wedding shot collections later, The theme of the website is awesome and in best interest of wedding photography. Super excited to submit, I got me a rock and roll bride!! Love your website! you have an natural eye for images! they are so full of meaning!! rock and roll! Great photography and very informative. Yaaasss!! I love this so much – hoping to shoot more rock & roll couples to submit!! Great site with some lovely weddings ideas and locations. Love this! I’m having a spooky masquerade wedding in October and would love to be featured. I’ll definitely submit some photos once we’ve tied the knot. I love this site! 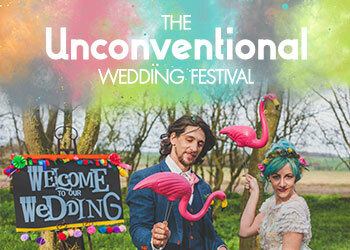 Great site with some quirky and different wedding ideas. You should also cover more quirky entertainment ideas too. very inspiring!will try to be futures! Great work on the site Kat, it’s nice to see a website that’s consistent with quality and doesn’t settle for less. Amazing site, I wiah I had clients like them, great attitude, great personalities, I would be very willing to do it! Great work here, some incredible images. Makes me realise just how vanilla so many of my brides are – wish I had more couples like these! Awesome wedding pics!! – I’m loving the subtle understated woodland chandelier, a fantastic idea. What a great idea! We love alternative wedding!